In the past few years, as the market for non-Windows tablets has been less, almost all major brands, including Apple, have significantly reduced their investment in new products, especially at the price of 1000-2000 yuan ($150-$300), except for Huawei. In addition to symbolically updating the product line, there are almost no decent new products. According to IDC data, the global tablet market sales have been decreasing year by year, even if it is the iPad that creates the tablet category, the days are not good. Xiaomi, who used to be popular in the tablet field, has more than a year after launching 3 generations of products. It is not new to see new products. On the contrary, mobile phones and PCs are new products. 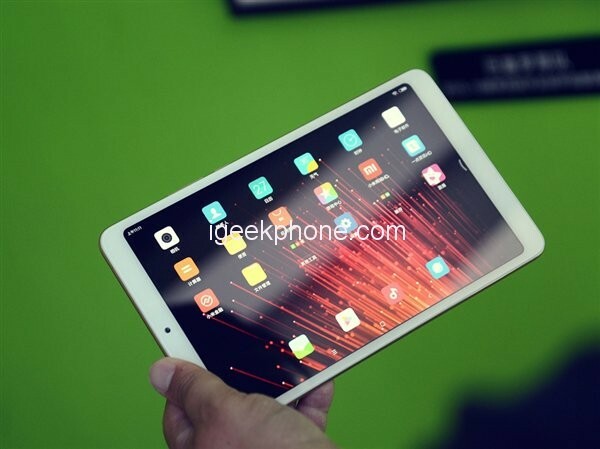 In October 2017, Xiaomi’s official website was off the Xiaomi Mi Pad 3, and the product classification of the tablet was canceled at the home entrance. Many people speculated that Xiaomi was ready to give up this product line. But after a year of silence, when everyone thought that the Xiaomi slab would disappear from the stage and exit the stage, Xiaomi Mi Pad 4 has appeared. 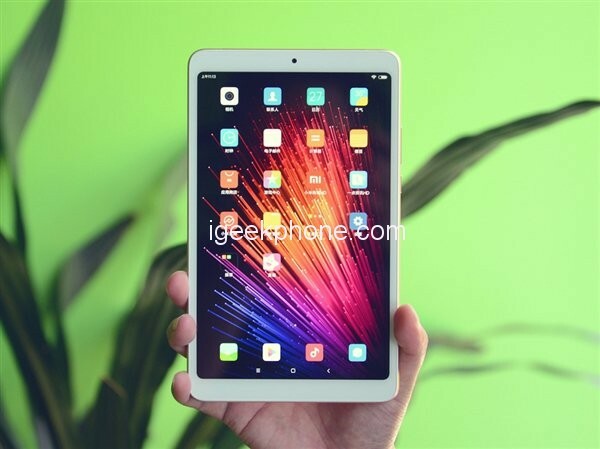 On the evening of June 24, Xiaomi officially released Mi Pad 4 that is the feature with 4,8-inch FHD screen, Snapdragon 660 processor, supporting intelligent game acceleration, AI face recognition, and 4G LTE Version, starting price at 1099 yuan ($165.73). 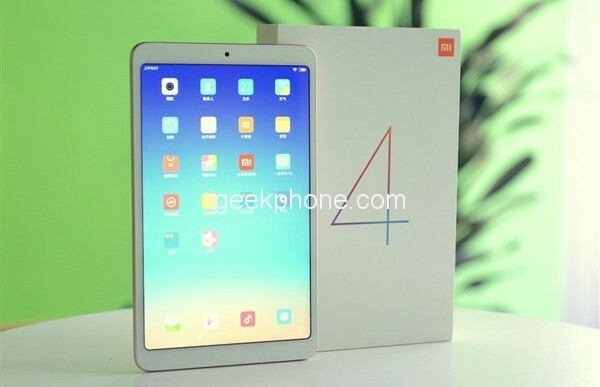 There are 3 versions of Xiaomi Mi Pad 4, which are 3GB + 32GB priced at 1099 yuan ($165.73), Wi-Fi 4GB + 64GB priced at 1399 yuan ($210.97), and 4G LTE 4GB+64GB version of Mi Pad 4 price 1499 yuan ($226.05), also equipped with 4GB + 64GB specifications. We bring the experience of WiFi version 4GB + 64GB variant. 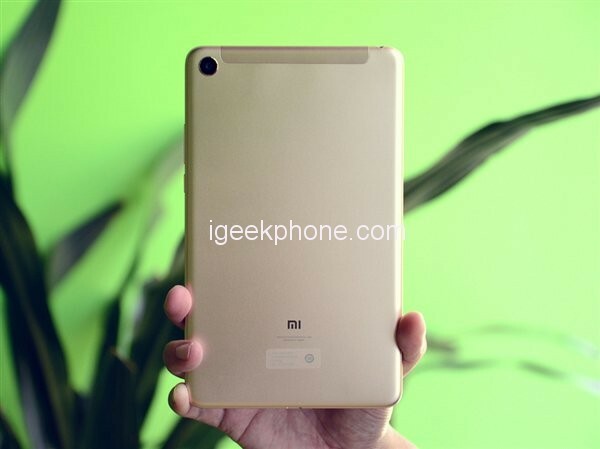 Friends who saw Mi Pad 4 appearance change, is this not exactly the same as Mi Pad 3? In fact, the tablet is different from the mobile phone, and the appearance of the iPad is not updated every year. iPad mini 1, 2, 3 have not changed significantly, so we don’t have to worry too much about the appearance. 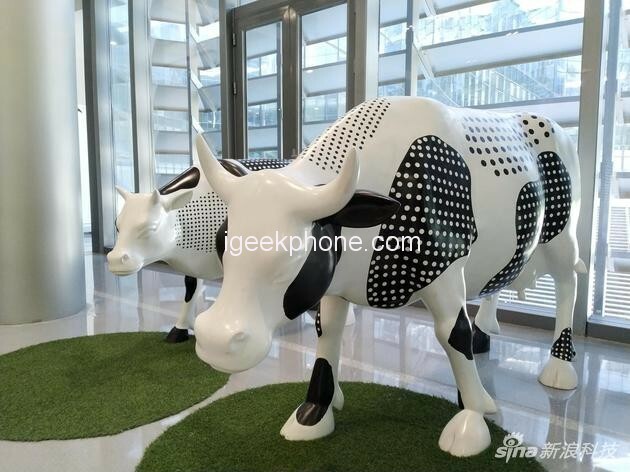 Xiaomi has never been a company that is known for its design and workmanship. It is true that Xiaomi has made a stunning work like MIX, but for most of Xiaomi’s other products, workmanship and design have never been the most boastful points. Such as the Xiaomi Smartphone is like this, then the low-key debut of the Mi Pad 4 naturally does not have to hold too much expectation. The Xiaomi Mi Pad 4 still retains the metal body and the surface is sandblasted. However, the blasting texture chosen by Xiaomi is somewhat rough. But on the whole, the bodywork of Mi Pad 4 is still worthy of praise at this price. Xiaomi Mi Pad 4 uses an “FHD” screen with a resolution of 1920X1200 and a PPI is 283. The first 3 model of Mi Pad uses a retina screen. Compared with the 2048×1536 resolution and 326ppi of Mi Pad 3, the Mi Pad 4 is literally retrograde. However, the use of the flat screen is different from the mobile phone. The distance between the screen and the user’s eye will be relatively far. The PPI of 283 can still meet the needs of users. Compared with the 2K screen, the 1080P screen can also reduce power consumption to a certain extent to increase battery life. 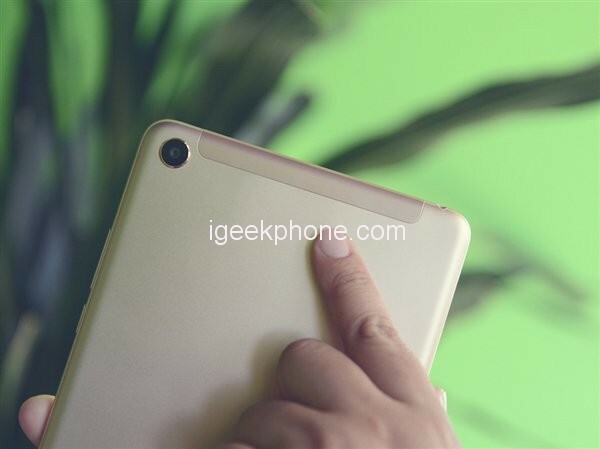 In addition, the screen ratio of Mi Pad 4 is 16:10, and the horizontal field of view of the whole device is more narrow, which is more suitable for the single hand grip. However, it is necessary to know that Mi Pad 4 weight is 342 grams which little higher than the 328 grams of Mi Pad 3. This is very obvious in the hand. 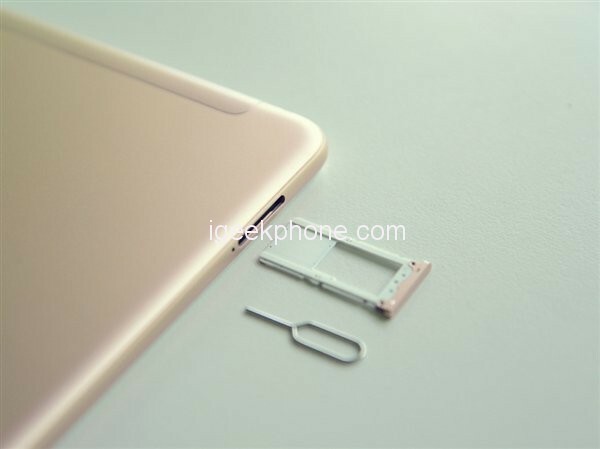 Due to the addition of the 4G version, the antenna strap above the Mi Pad 4 is very obvious, which is also the main reason for the increase in weight. We do not receive the 4G version, but the WIFI version and the 4G version should use the same set of molds. Overall, the Mi Pad 4 is not difficult to hold with one hand, but the comfort and the phone are definitely not comparable. Xiaomi Mi Pad 4 has added TF card expansion up to 256G, which is good news for users with insufficient capacity. Like the mobile phone, it needs to use the card to pull out the card slot. 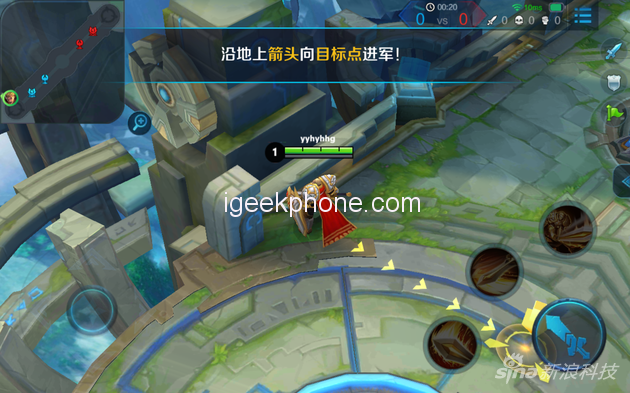 Nowadays, face unlocking in the Smartphone field, including the PC market, is not a new technology, but on the tablet of less than 2,000 yuan ($300), Xiaomi has increased this gameplay. 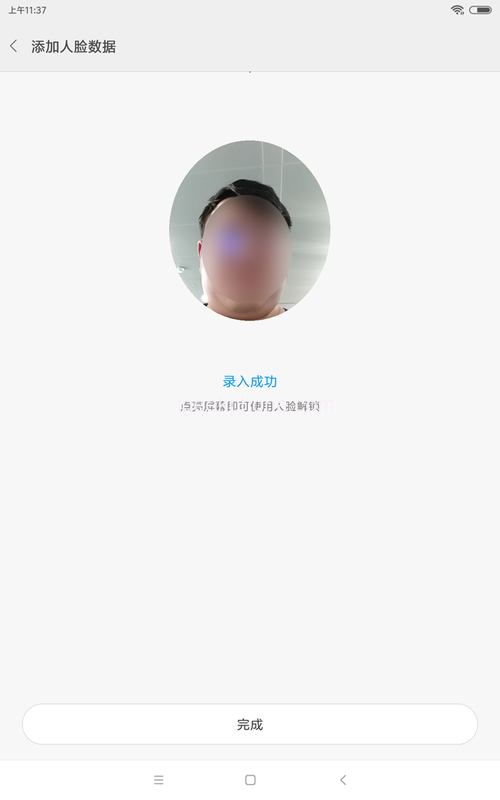 Face recognition of Mi Pad 4 is not the common facial recognition in mobile phones, which is what we often call Face ID, but it is recognized by the camera. So the setup is very simple and does not require a 360-degree rotation of the head. The actual experience can be quickly identified both in portrait and landscape. Although security is not comparable to Face ID, the tablet is not as important as a handset. In terms of photography, Mi Pad 4 has a 5MP selfie camera, while on the back it features a 13MP rear camera. The Mi Pad has always been regarded as an audio-visual entertainment product. It seems that the camera has always been the strength of the tablet. However, after the actual experience, the photography level of Mi Pad 4 is basically satisfactory. In the well-lit outdoor, we can see that the camera performance of Mi Pad 4 is remarkable. Both the color of the sky and the details of the building are restored. In addition, the white balance is also very accurate, and there is no sky over blue. In the case of strong contrast between light and dark, the Mi Pad 4 can still present the details of the statue while ensuring that the picture is normal. 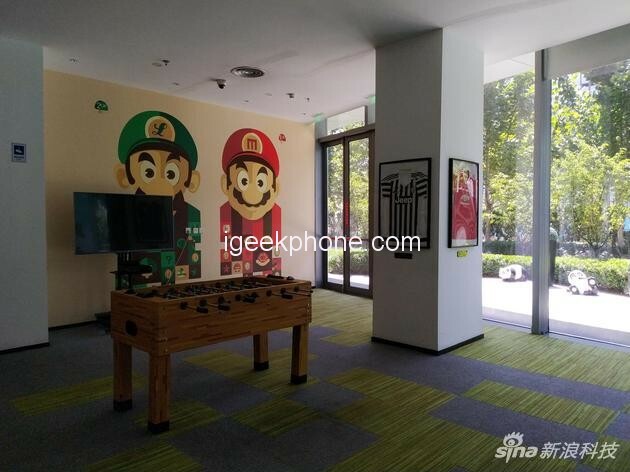 In general, although the Mi Pad 4 is not the main photo, it can be taken up with satisfactory photos. 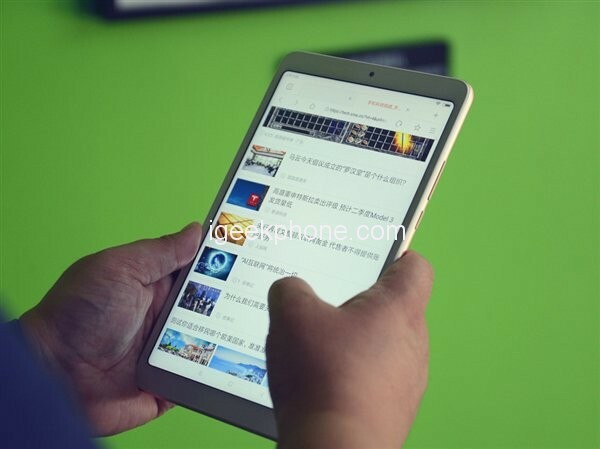 Looking back on the development history of Xiaomi Mi Pad, you will find that Xiaomi Tablet’s choice of the processor can be said to be 3 to 4. The earliest to raise the price-performance banner, the first Mi Pad chose NVIDIA’s Tegra K1 processor. 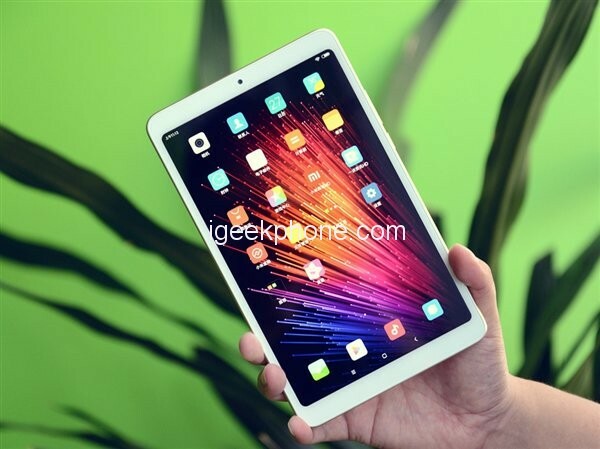 To the Xiaomi Mi Pad 2 to take into account the Windows version, so Xiaomi chooses the Intel Atom X5-Z8500 processor for it. 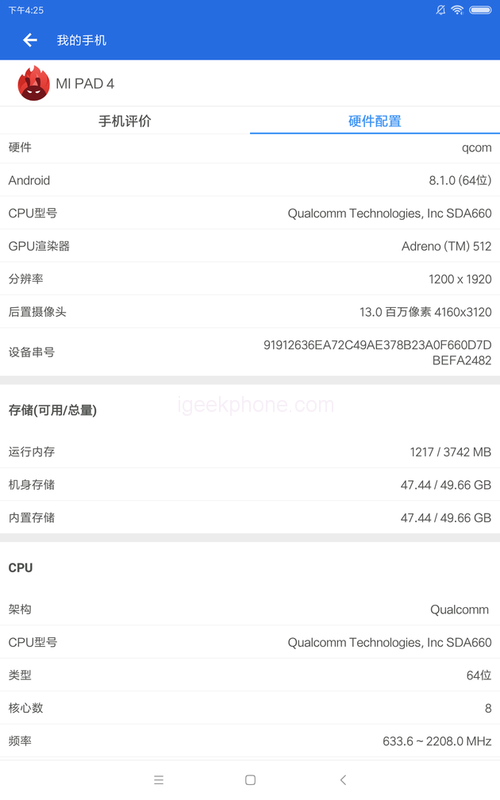 For the Mi Pad 3, Xiaomi chose a 6-core MT8176 processor from MediaTek. To today’s Mi Pad 4, it is the turn of the 660 AIE version (Note: AIE represents the AI ?? 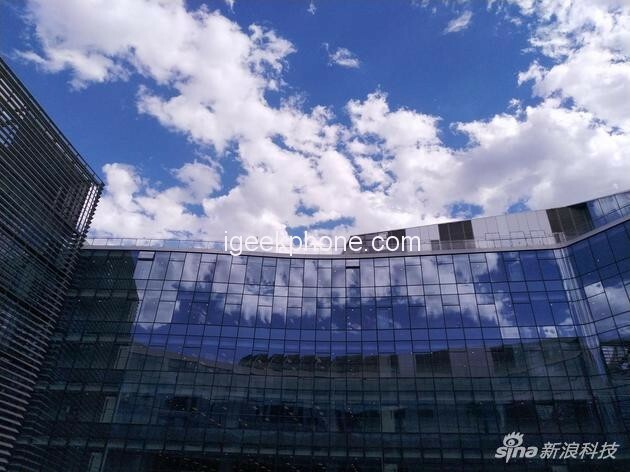 special edition, which is based on Snapdragon 660, which enhances the performance of AI, which is to join the popular artificial intelligence feature support.) Processor, featuring support for smart game acceleration and AI face recognition. 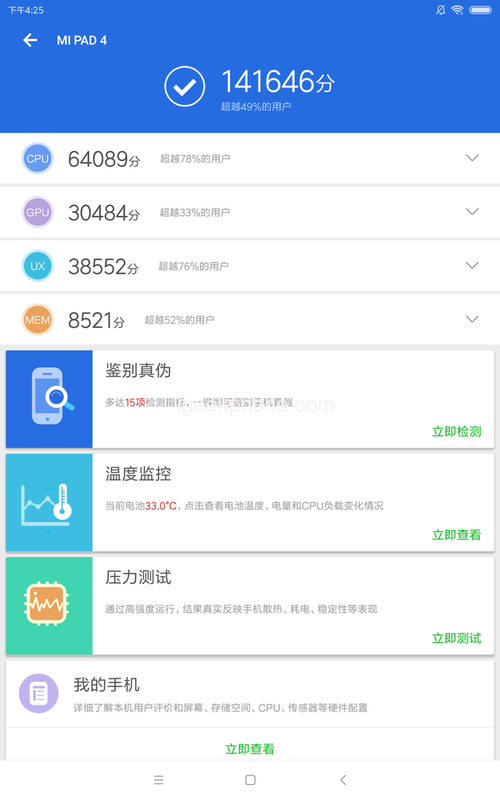 The Xiaobi Mi Pad 4’s Antutu scored is 140,000+. With the hardware upgrade, the system naturally fluent a lot. Whether it is the smooth operation of the system or the switchover, the performance is rapid, basically no Karton phenomenon. The speed of loading applications, web browsing, etc. at ordinary times is satisfactory. The Snapdragon 660 processor has done a good job in power consumption control. The battery capacity of Mi Pad 4 is 6000mAh, which is not much different from the Mi Pad 3. On this size tablet, such battery capacity is standard. Therefore, the battery life of Mi Pad 4 is basically not too worried. It may be due to cost considerations. Mi Pad 4 does not have a fast charge function. The standard charging head is 10W, and the charging time will be longer. In the actual test, 1080P video is played online for 1 hour, and the power consumption is 13%. From this, it is estimated that the video can be up to 8 hours. If it is played locally, the battery life will be longer. If you simply use the Mi Pad 4 to read, I believe that there is no need to consider the issue of battery life. The downside is that the video is played for a long time, and the heat of the back shell is quite obvious. I believe that many of the friends who buy the most tablets for games and videos. Take the most popular “King of Glory” nowadays, the performance of Mi Pad 4 is very smooth. The performance of the Snapdragon 660 now seems to belong to the mid-range level, basically reaching the basic threshold for games test. Of course, to stimulate the battlefield as an example, if you want to play this game smoothly in the high-quality, high-frame rate mode, the Snapdragon 660 will still be a little powerless. “Single hand grip” and “chasing artifact”, these slightly exaggerated slogans will make you feel that the release of Mi Pad 4 is just a simple iterative update. After all, everyday simple listening to the songs, play online games, the smartphones in our hands have long been enough. Xiaomi Mi Pad 4 once claimed to be the best Android tablet, but after 3 generations of product iterations, it didn’t make much noise. After all, the demand for the tablet market is rapidly shrinking, and even the update speed of iPad products has slowed down noticeably. As for the Mi Pad 4, which is late, Xiaomi’s positioning of Mi Pad 4 is undoubtedly more pragmatic. It continues the low-cost strategy, and also adds the highlights of the Android tablet with face recognition and 4G LTE templates. In the past, the tablet usage scenario, we can only use it based on WiFi, because it is the cheapest. Don’t say 4G tariffs, even the 4G iPad is worth more than a $1000 than the WiF version, enough for many people not to consider. In the current Internet package, the Mi Pad 4 supporting 4G LTE is inevitably popular. And in terms of price, the 4GB+64GB LTE version is only 100 yuan ($15) more than the 4GB+64GB WiFi version, which is undoubtedly the most worthy version. Breaking the price of the product, maybe it can really activate the 4G-based tablet experience. 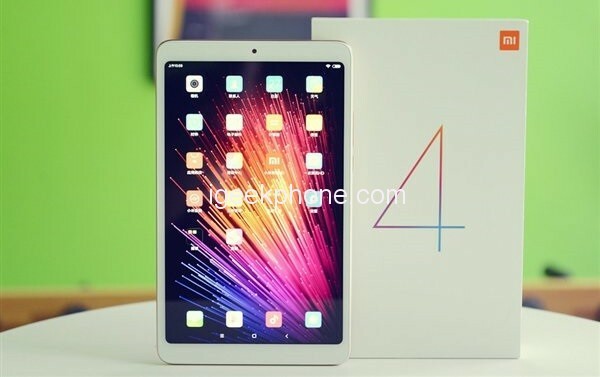 Currently the all of Xiaomi Mi Pad 4 versions available on Geekbuying and below you will find purchasing links with coupon codes.